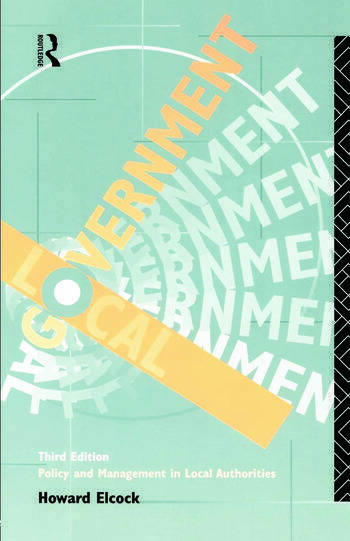 Since first publication in 1982, Howard Elcock's Local Government has established a reputation as a comprehensive and unbiased account of how British local government really works. This respected textbook has been completely revised and rewritten for its third edition, to take account of changes in local government and in the circumstances in which it operates. The third edition examines new management structures and accountabilities that follow the policy initiatives of the central Conservative administration. It appraises the impact of the three-pronged reform of the Thatcher years: impact on local authorities' financial resources, new structures of local government and new pressure to contract services out to the private and voluntary sectors.